If you have ever considered adding a beehive to your backyard, The Backyard Beekeeper book is a wonderful introduction to the hobby. Filled with up-to-date information on all facets of beekeeping, as well as full color photos and detailed diagrams, this work will surely be a fantastic resource for any beekeeper. Not only does the book cover proper hive placement and care; it also has chapters on creating products from beeswax. The conversational writing style makes the book easy to read, and extra tips throughout each chapter will certainly expand your knowledge. Techniques for both urban and modern beekeeping, as well as information on integrated pest control, complete the work. 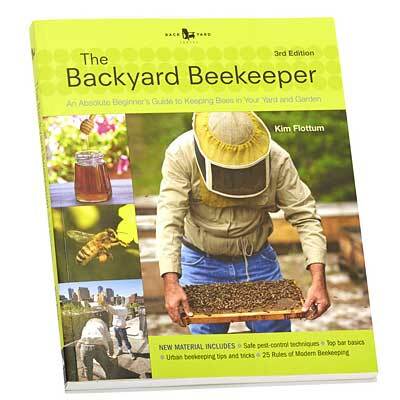 Add The Backyard Beekeeper book to your library for a convenient and thorough beekeeping resource. Details: 207 pages, paperback, 10" x 8"